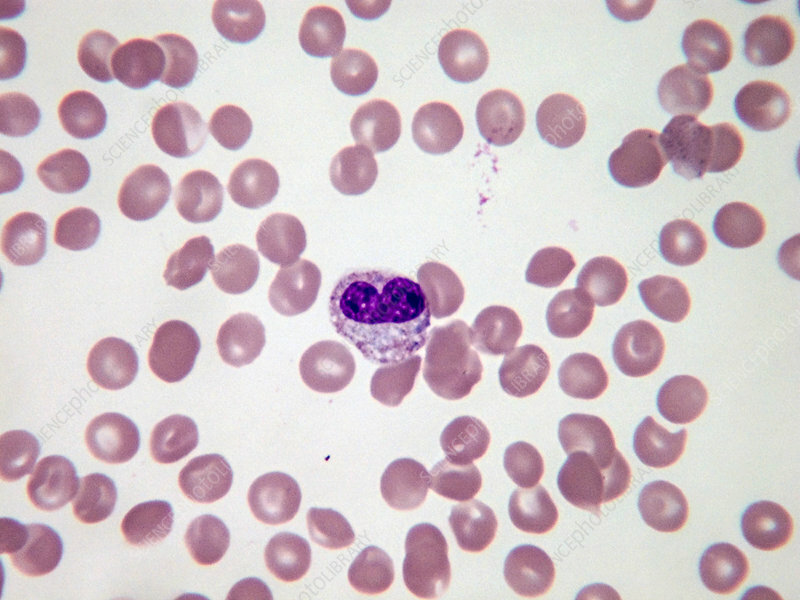 A metamyelocyte is a precursor in the granulocytic series, being a cell intermediate in development between a promyelocyte and the mature, segmented one. It is characterized by the appearance of a bent nucleus. Light micrograph, Wright-Giemsa stain. Magnification: 100x.